2018 Topps Chrome Sapphire Edition Baseball sees the high-end take on the year’s flagship set return as a high-end exclusive. This time around, though, it’s not going to cost $1,500 a shot. You’re not going to get a full set, either. That’s because it’s shifting towards a smaller box format. 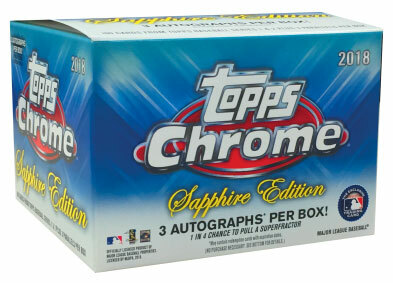 Originally running $199.99 on the company’s website, each 2018 Topps Chrome Sapphire Edition Baseball box starts with 100 base cards, three parallels and three autographs. 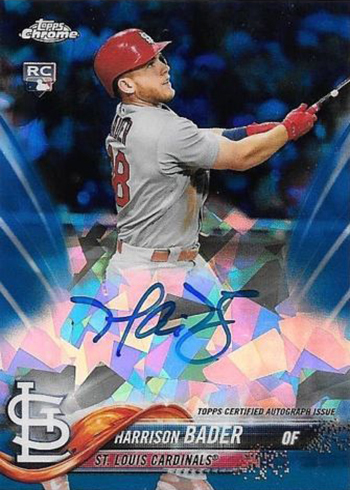 The main checklist is essentially a parallel of 2018 Topps Baseball covering both Series 1 and Series 2 only with a sapphire effect in the background. 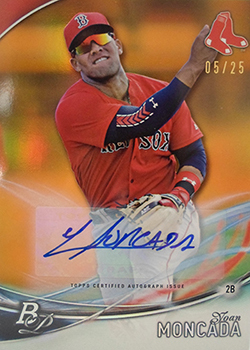 According to the checklist posted by Topps, in addition to the main 700-card checklist, both the Ronald Acuna Jr. and Gleyber Torres variations are also available. Parallels come in two forms. Most are Red Sapphire, which are numbered to 10. Every fifth box comes with a one-of-one Superfractor. The Autographs checklist is limited to 19 players. All are rookies, including Ronald Acuna Jr., Shohei Ohtani, Rhys Hoskins, Gleyber Torres and Rafael Devers. Parallels have a handful of colors: Green Sapphire (/50), Orange Sapphire (/25), Red Sapphire (/10) and Superfractor (1/1). 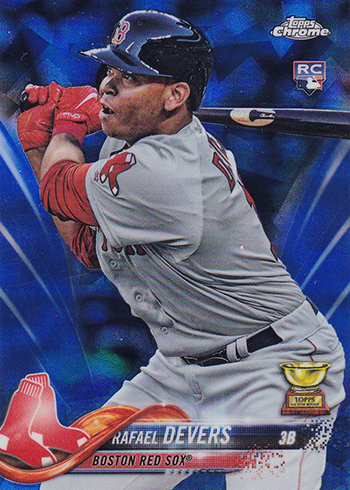 Want to know what cards your favorite team has in 2018 Topps Chrome Sapphire Edition Baseball? Here’s the checklist broken down by team. Scroll through or click below to go directly to that team. Honestly, I think they would have been better off if they had sold the sets at $1400 with the 19 autos. Cutting through the numbers and you see its a fairly limited set with 400 made. Too bad I busted my budget for the year. This looks like a fun option for possible high-end hits. Thanks Ryan! So, only the 19 autographs have the additional Orange and Green Sapphire parallels? And the regular 700 card base set consists of the normal Blue Sapphire, Red #/10 and Superfactor parallels? Or does the base set also include the Orange and Green versions as well? Thanks as always!! @Dan – From what Topps has posted for the box, only the Red and Supers for the base. And autograph list is small. But that doesn’t mean they’re all in equal numbers. Very possible that some players only have parallels or not all parallels. Topps just doesn’t normally confirm stuff like this. @Michael – Your calculations may be off. 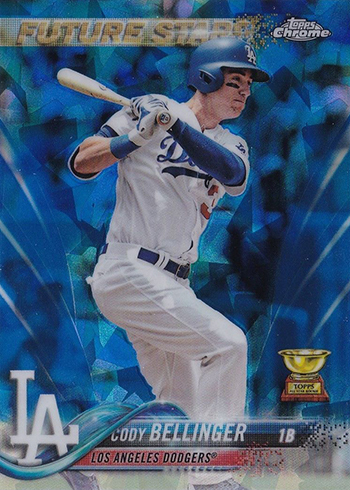 In past years, players with Superfractors in Topps Chrome haven’t had them in Sapphire. We have asked for confirmation if that’s the case this year again, but haven’t heard back. Thanks so much Ryan! I think any color looks great Sapphired, so pumped for the Blue, Reds and Superfractors! And I don’t sweat the quantity or equality of the parallels; just happy they get produced and that they look so good. I always appreciate your top notch writing and take care! @Ryan, if they are not reissuing super-fractors, how many cards are available then? @Richard — Topps hasn’t confirmed but it looks like all 700 cards have Superfractors in the Sapphire boxes. I see a Kris Bryant listed on eBay right now, which should be a good indicator.